Home » What’s in these pictures? What message did this send? No safety? 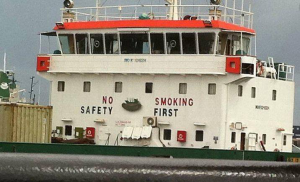 Smoking first? Of course, that was not what someone intended. But the message is a little confusing. For more information on safety, pull out your phone and send a text. We think that the intention is to send that text when you are no longer driving, but the way this looks, the message can be taken completely wrong. 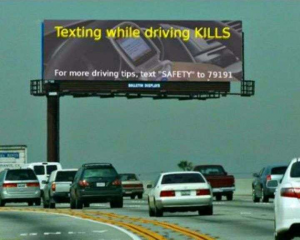 The point is, when we are trying to send a message about safety, whether it is a memo, a billboard or a safety training, be clear about what you are trying to say. 2019 Calendar of classes is now on the SCM Website. Start with thislink and scroll forward to find the training you need. 6/20 – 21. 16 hour Crossover Module. $250. Storage? Or do you need training on Hazardous Waste Management? We offer this online. See our courses at Hazmatschool.com.